It is a season of reporting and I am trying to catch up on reading companies’ quarterly reports. My mentor once told me if you really understand how to interpret the results, you can make money every quarter (apparently I am not, that’s why I am still working). He is a full time stockbroker and he has the luxury of time to think, have all the time at home to read annual reports and books. For example, I read Apac Realty recently quarter results (separate post on this), the numbers tell me that the business is deteriorating, the next day investors start to sell off the shares. Recently, I was too busy with work (yes busy and with headaches are good for business), I did not have much time to look at stock prices which turns out to be a good thing. I start to realize that you are owning a business when you are invested instead of “stock prices”. Let’s look at Campbell’s most recent results. Campbell is a turnaround stock in the making and Daniel Loeb is an activist investor in this company. Net sales increased by 24%, EPS as reported is a loss of $0.20 taking impairment charges related to Campbell Fresh. Adjusted EPS is $0.77. Mark Clouse, Campbell’s President and CEO is working on the integration of Snyder’s-Lance, driving further cost savings campaign, selling certain businesses to reduce debt level, refocus on creating value. The sales increased 24 percent to $2.7 billion is a 26 point benefit due to acquisitions of Snyder’s-Lance and Pacific Foods. 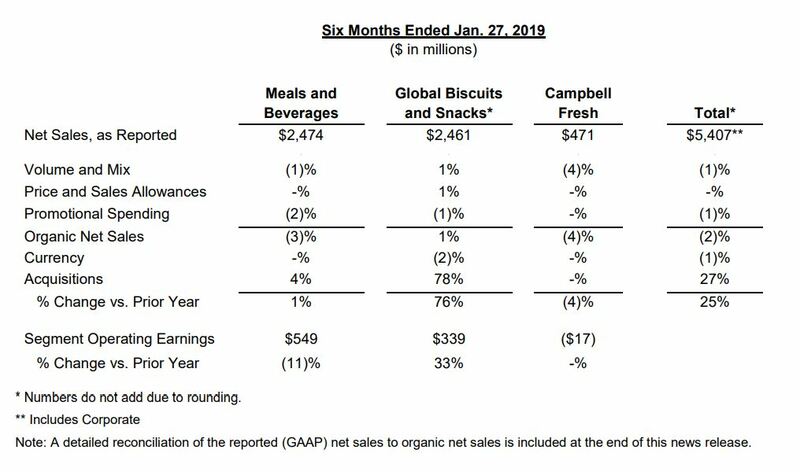 Organic sales were comparable to the prior year as gains in Global Biscuits and Snacks were offset by declines in Campbell Fresh and Meals and Beverages. 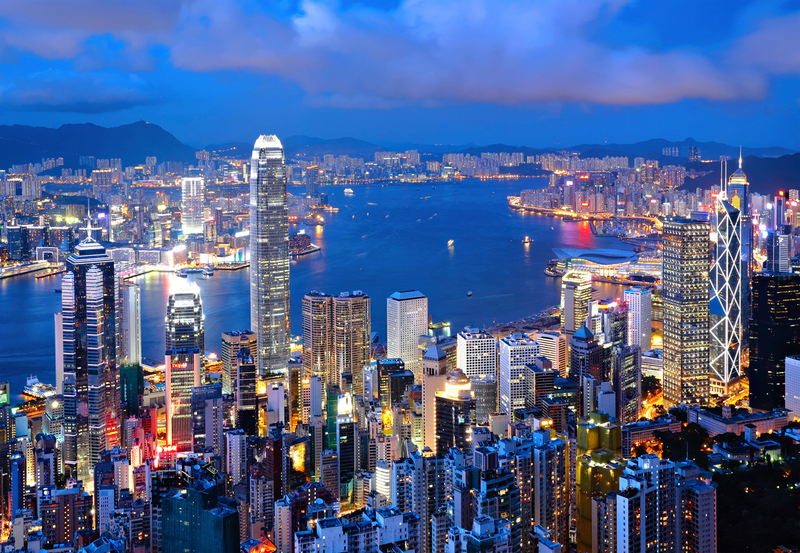 Gross margins decreased from 35.1 percent to 26.3 percent. This dilution is due to recent acquisitions, cost inflation, higher supply chain cost and marketing cost. The good thing is supply chain cost are mainly one time cost for warehousing and transportation. Marketing expenses increased 16 percent to $264 million. Net interest expense was $92 million compared to $32 million in the prior year due to higher debt level with recent acquisitions and higher interest rate. The cost savings program is based on economies of scale in terms of operation, Campbell achieved $50 million in savings in 2nd Quarter, $95 million in savings for first half of fiscal 2019 which is ahead of planned schedule. For Meals and Beverages, sales in quarter increased 1 percent to $1.23 billion. Organic sales decreased 1 percent reflecting mixed results, as increases in beverages behind consumption gains in V8 vegetable juice and V8 Energy were more than offset by declines in Plum and Prego pasta sauces. For Global Biscuits and Snacks (the profitable segment), sales increased 76 percent to $1.243 billion. Pepperidge Farm, Goldfish crackers, and Arnott’s biscuits continue to grow. Pepperidge Farm has grown in past 17 quarters. Campbell Fresh is consistent, sales decreased 7 percent as decline in refrigerated soup, declines in Bolthouse Farms and Garden Fresh Gourmet. December 2018, Campbell wanted to sell Bolthouse Farms, continue its retreat from fresh food as Campbell does not have the expertise in agriculture. 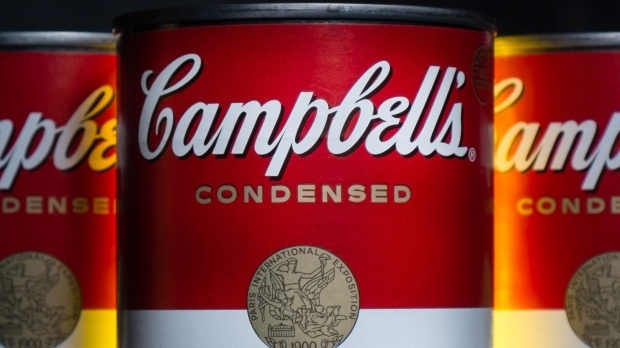 In 2012, Campbell paid $1.55 billion and now it is a loss making brand. Campbell is looking at selling Arnott’s cookie and crackers. In February 2019, Campbell agreed to sell Garden Fresh Gourmet business to Fountain of Health USA. The sale will be expected to close in fiscal 2019 third quarter. Campbell sold a 225,000 square foot refrigerated soup plan in Everett to private investment company Joshua Green. Campbell continues to divest its Campbell Fresh and Campbell International businesses to reduce debt and strengthen its balance sheet.